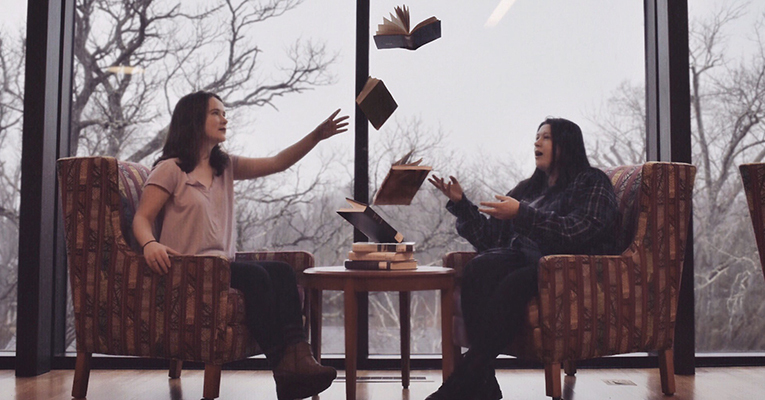 Emily Jones ’19 says art gives her a peaceful state of mind and sense of purpose. It has inspired the perfection and organization that she uses every day and opened her eyes to the beauty of the world. 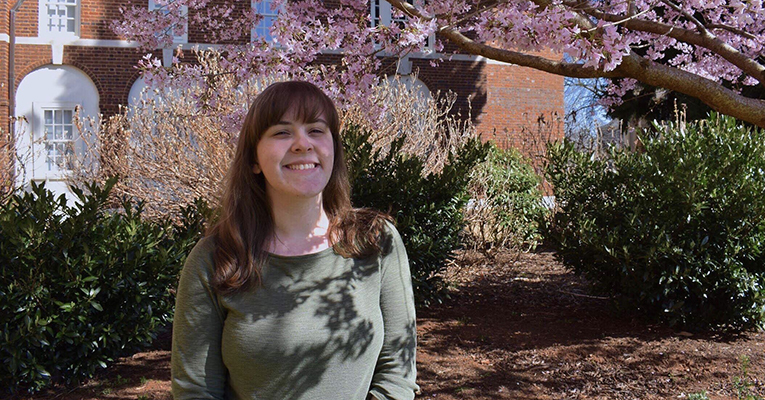 In her senior exhibit, “Book ‘Em,” which begins with a reception at 5 p.m. Friday, April 12, in Mary Helen Cochran Library, she’ll share her work, inspired by materials found in her future career as a librarian: books. Her artist’s talk will begin at 6 p.m. Her show, comprised of about 15 pieces, will feature illustration, photo-surrealism and sculpture, all related to or using book materials. “In the last year, I’ve been able to work on advancing my skills as a photographer and graphic designer,” Jones said. And during her time at Sweet Briar, she says she’s become more confident and proud of her work. “I’ve improved my creativity and gotten better at expressing it,” she told us. In addition to her love of books, Jones’s artwork is also inspired by portraits, songs, nature, dreams and photography. In fact, she’s talked to us about her photography before, when she took a class from Medford Taylor, Sweet Briar’s nationally recognized professor of photography. Last fall, Jones earned the Loren Oliver Award in Studio Art, given by the visual arts program. She is an active member of the Sweet Briar community, working in the library and at the Art Barn. It is unsurprising then, that those are her favorite places on campus. “Both are quiet, comfortable and relaxing,” she says. Jones is also a section leader for Skiffle USA Steel Orchestra, Sweet Briar’s branch of the world-famous Skiffle Steel Orchestra in Trinidad. Jones’s show will run until May 29. For more information, email ejones@sbc.edu.